What Is The New Food Allergy That Has Recently Changed The Food Standards Code? Food allergy is something that people are becoming more aware about. And it seems like there are just more and more items being added to the list! Earlier this week, another food has been added to the list of foods that need to be declared. This new requirement is especially important for hospitals and aged-care facilities that provide meals to patients. 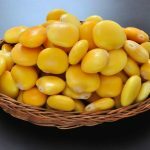 The Food Standards Australia New Zealand (FSANZ) has changed the Food Standards Code to require lupin to be declared. It needs to be made aware when it is present in a food as an ingredient, or component of ingredients, including food additives and processing aids. Lupin is a high protein legume which is (GM-free and gluten-free) like soy and peanut and has the potential to be an allergen. Some people who are allergic to peanuts may also be allergic to lupin. Although it is not a popular ingredient in Australian or New Zealand foods, it can be found in a wide range of food products. This can range from bread, bakery and pasta products, sauces, beverages and meat-based products such as burgers and sausages. Gluten-free or soy-free products may sometimes contain lupin. Does your business need to consider how to implement this new requirement? Do you need to check whether you have this food allergy?